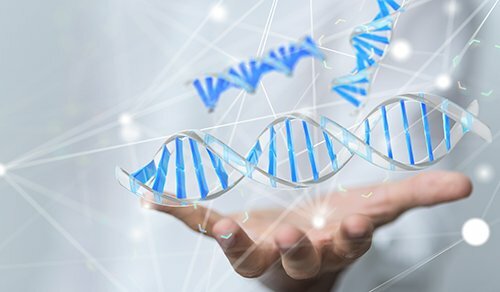 Over the last decade, a central focus for improving drug efficacy in clinical trials has been to increase the biological relevance of assays performed early in the drug discovery process. Yet it remains difficult to simulate a drug’s in vivo response using an in vitro assay. 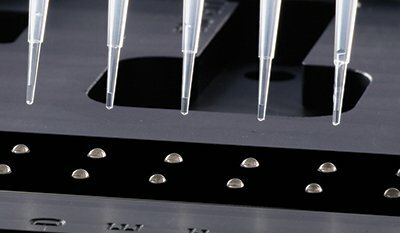 In vitro assays typically use cells grown on two-dimensional (2D) hard plastic or glass substrates, which are not representative of the true in vivo cell environment1. In tissue, cells interact with neighboring cells and with the extracellular matrix (ECM) to form a communication network that affects many cellular processes including proliferation, migration and apoptosis2. In a simplified, in vitro 2D environment, most of the tissue-specific architecture, cell-cell communication and cues are lost. 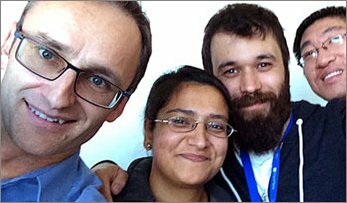 Therefore the need exists for advanced culture methods that better mimic cellular function within living tissue. 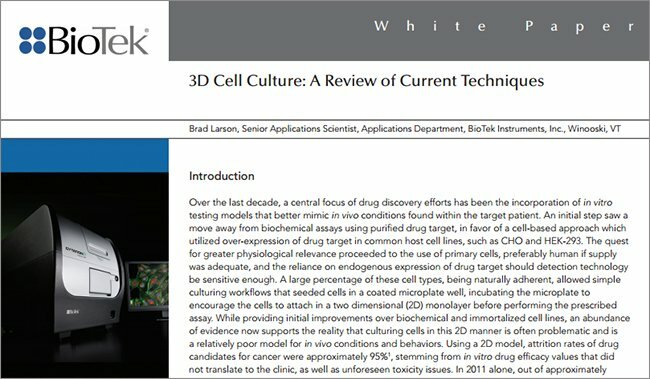 Three-dimensional (3D) cell culture methods, in comparison, provide a matrix that encourages cells to organize into structures more indicative of the in vivo environment, thereby developing normal cell-cell and cell-ECM interactions in an in vitro environment. 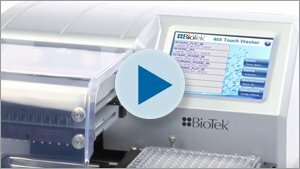 Here, we demonstrate an in vitro HTRF® microplate assay from Cisbio Bioassays (Bedford, MA, USA) that assesses total and phosphorylated eukaryotic translation initiation factor 4E (eIF4E) using a novel 3D cell culture system. 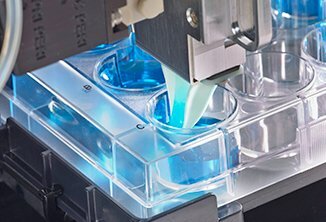 The RAFT™ (Real Architecture For 3D Tissue) cell culture system from Lonza Biosciences (Walkersville, MD, USA) creates a 3D hydrogel environment using the most abundant matrix protein, collagen type I, at physiologically relevant concentrations. Within this culture certain cells can assemble into higher order structures, termed tumoroids, driving cell-cell and cell-matrix interactions. 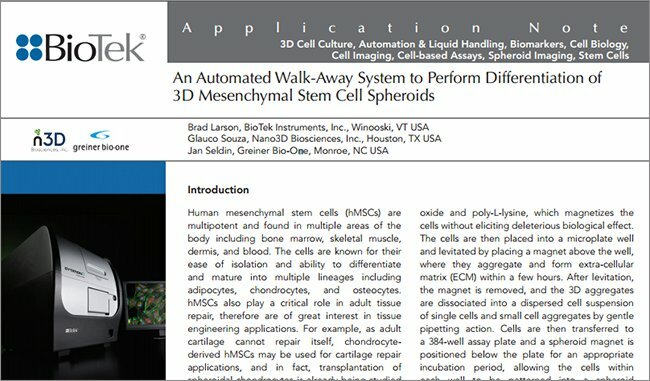 The HTRF® assay was also performed with cells cultured using traditional 2D methods for comparison. 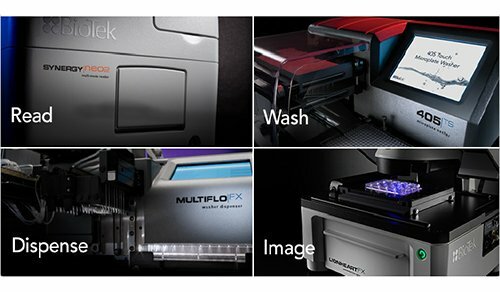 All liquid dispensing and removal steps were performed by the MultiFlo™ FX Microplate Dispenser from BioTek Instruments (Winooski, VT, USA), including dispensing of cell/collagen mix, medium, and reagents, and removal of spent medium and compounds. 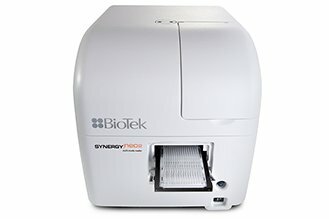 BioTek’s Cytation™ 3 Cell Imaging Multi-Mode Reader detected the HTRF assay's fluorescent signals, and also imaged the tumoroids. 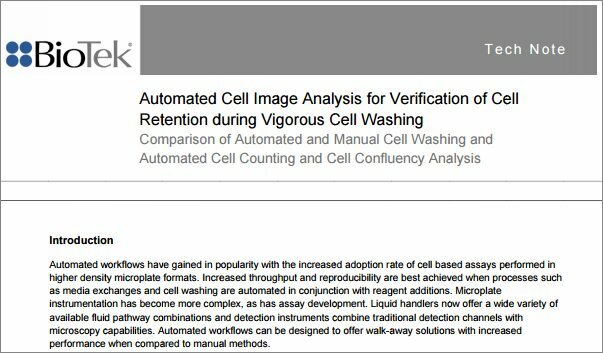 Validation data generated using RAFT™ confirms the robustness of the 3D cell culture system and its ease of use with automated platforms. 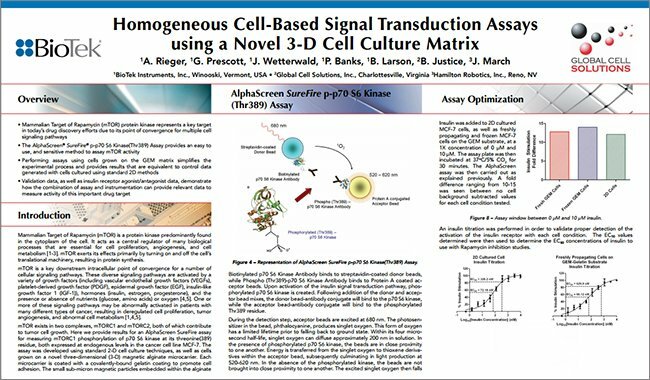 Pharmacology comparison data between the 2D and 3D methods also demonstrates the validity of using 3D cell culture for cell signaling analyses. The novel RAFT™ system (Figure 1) uses a collagen matrix at physiologically relevant concentrations to create a realistic environment, where a wide variety of cells can grow into biomimetic, dimensionally stable 3D structures. In process, cells and neutralized collagen are mixed and dispensed into wells of a 96-well culture plate, and subsequently incubated to allow formation of a cell-seeded hydrogel. A specialized RAFT™ plate is placed on top of the hydrogels, where sterile absorbers gently remove medium, thus concentrating the cell/collagen hydrogel to a layer approximately 120 μm thick, mimicking physiological conditions. The cultures are then ready for use, or additional layers or epithelial or endothelial cell overlays may be added to study co-cultures or more complex stratified cultures. Figure 1. The RAFT™ 3D Cell Culture System. A) Cell/collagen mix within a microplate well. B) Specialized RAFT™ plate showing sterile absorbers. C) Absorbers remove medium to concentrate the cell/collagen mix. D) Concentrated cell/ collagen mix. E) Cell/collagen layer showing absorbed medium. F) Final cell/collagen layer in the microplate well prior to dispensing fresh cell medium. HTRF® assays from Cisbio Bioassays combine fluorescence resonance energy transfer and time-resolved fluorescence to eliminate background interference. The assay is based on a sandwich immunoassay principle (Figure 2). After cell membrane lysis, phosphorylated and total eIF4E protein may be detected upon addition of two monoclonal antibodies: an anti-peIF4E-K (phosphorylated assay) or anti-eIF4E-K (total assay) antibody labeled with Eu3+-cryptate and an antieIF4E- d2 antibody labeled with d2. 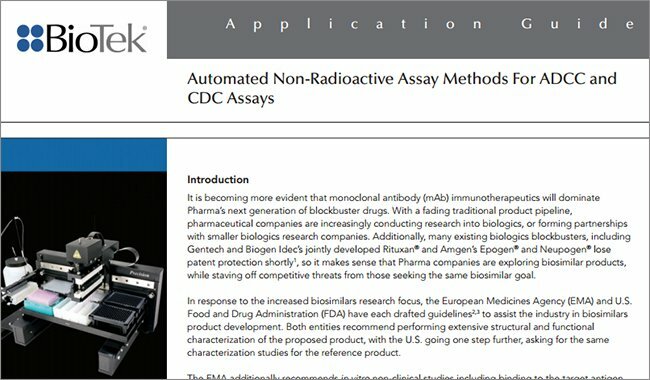 The two antibodies for each respective assay may be pre-mixed and added in a single dispensing step to further streamline the protocol. For the peIF4E assay, in the presence of phosphorylated eIF4E protein, and upon excitation of the Eu3+-cryptate, energy is transferred to the d2 molecule, and an increase in emission at 665 nm is seen. In the absence of the protein, no energy is transferred, and virtually no 665 nm signal is detected. For the total eIF4E assay, antibody binding is seen in the presence of phosphorylated and unphosphorylated protein, allowing energy transfer and quantification of all eIF4E protein. Figure 2. The two-plate HTRF® Human eIF4E assay is run in three steps. A) Cells are incubated with inhibitor compounds. B) Cells are then lysed, releasing the phosphorylated and unphosphorylated initiation factor eIF4E. C) Cell lysate is transferred to a second plate, followed by antibody addition and plate reading. Colorectal carcinoma HCT116 cells (Catalog No. CCL- 247) were obtained from ATCC (Manassas, VA, USA). The cells were propagated in McCoy’s 5A Medium (Catalog No. 16600) plus Fetal Bovine Serum, 10% (Catalog No. 10437) and Pen-Strep, 1x (Catalog No. 15140) each from Life Technologies (Carlsbad, CA, USA). The cells were plated at a final density of 2.5x104 cells/well for 72 hours prior to performing the assay. The inhibitors Cercosporamide (Catalog No. 4500), and PI 103 (Catalog No. 2930) were purchased from R&D Systems (Minneapolis, MN, USA). Fluorescent probes DAPI (Catalog No. D1306), Alexa Fluor® 488 phalloidin (Catalog No. A12379), and CellMask™ Orange plasma membrane stain (Catalog No. C10045) were purchased from Life Technologies. 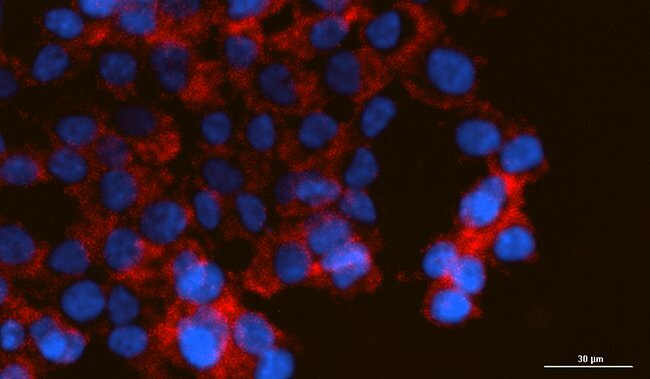 Nuclear-ID™ Blue/Red Cell Viability Reagent (Catalog No. ENZ-53005) was purchased from Enzo Life Sciences (Plymouth Meeting, PA, USA). 96-well clear bottom, tissue culture (TC) treated plates (Catalog No. 3904) were procured from Corning Life Sciences (Corning, NY, USA). 96-well RAFT™ Plate (Catalog No. A-0051) and 96-Well Culture Plate (Catalog No. A-9WE2) are part of the 4 x 96 RAFT™ Plate Kit (Catalog No. 016-0R93). Collagen Solution (Product Code A-0052), 10x Minimum Essential Medium (Product Code A-0053), and RAFT™ Neutralising Solution (Product Code A-0054) are part of the RAFT™ Reagent Kit. 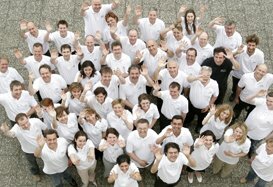 All RAFT™ assay components were supplied by TAP-Sartorius (Royston, Hertfordshire, UK). 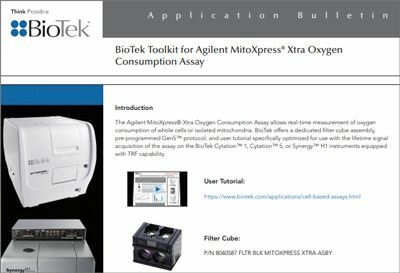 CellTox™ Green Express Cytotoxicity Assay (Catalog No. G8731) was procured from Promega Corporation (Madison, WI, USA) and measures changes in membrane integrity that occur as a result of cell death. A proprietary asymmetric cyanine dye is used which is excluded from viable cells, but preferentially stains dead cell DNA. When the dye binds DNA in compromised cells, the fluorescent properties are substantially enhanced. The dye can also be diluted in culture medium and delivered directly to cells at dosing, allowing for kinetic cytotoxicity measurements. 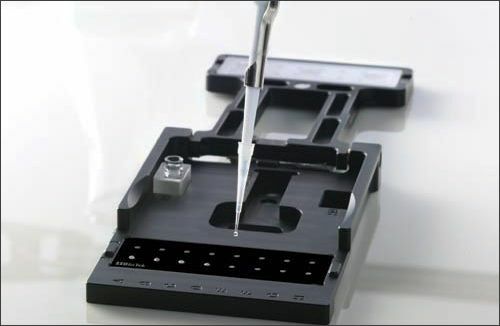 The MultiFlo™ FX Microplate Dispenser was used to dispense the cell/collagen mix for hydrogel creation and all assay components, in addition to removing spent medium and test compounds. 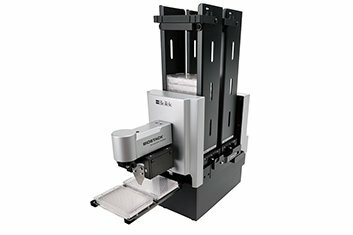 Cytation™ 3 is a cell imaging multi-mode microplate reader that combines automated digital microscopy and conventional microplate detection. The patent pending design provides phenotypic cellular information and well-based quantitative data. 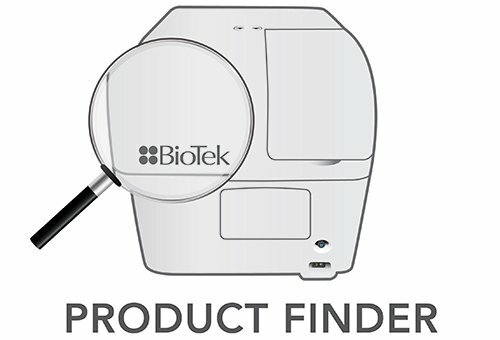 The microscopy module provides cellular visualization and analysis and the multi-mode detection system uses BioTek’s patented Hybrid Technology™, containing both high sensitivity filter-based detection and a flexible monochromator system. 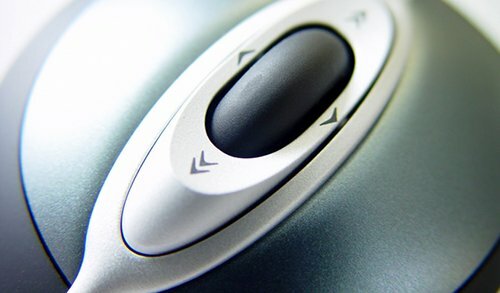 Cytation™ 3 has temperature control to 45 °C, shaking and CO2/O2 gas control. The filter-based system was used to detect the 665 and 620 nm fluorescent emissions from the HTRF eIF4E assay with the following settings: Delay after plate movement: 0 msec; Delay after excitation: 150 μsec; Integration time: 500 μsec; Read height: 10.5 mm. The imaging module was used to analyze the tumoroid structure, confirm cellular lysis and visualize test compound cytotoxic effects. 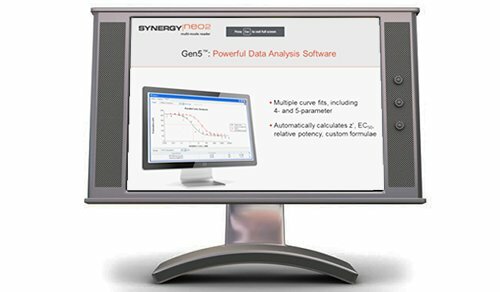 Gen5™ Data Analysis Software was used for initial data analysis. Multiple assay parameters were optimized to ensure robust and accurate pharmacology results using the 3D HTRF peIF4E assay. Dose response curves of two eIF4E pathway inhibitor compounds: cercosporamide, a known blocker of eIF4E phosphorylation, and the mTOR inhibitor PI 103, were analyzed to determine the most appropriate conditions to use for subsequent experiments. Eight-point titrations were created for each compound, with concentrations ranging from 100-0 μM using a serial 1:5 dilution scheme. Cell concentration tests were performed using 25,000 or 10,000 cells/well, and a one, two, or three hour incubation time of inhibitor compound with cells. Additionally, lysis incubation time was optimized using cercosporamide dose response curves and a one, two, or three-hour incubation time following lysis reagent addition. 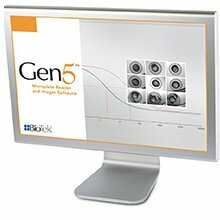 Effectiveness of the lysis reagent to cause membrane integrity loss during a one-hour incubation was then visually confirmed. Tumoroids were stained with Nuclear-ID Blue/Red Cell Viability Reagent, and imaged using 10x magnification. Lysis reagent was then added and incubated with the cells using the optimized time period, followed by a repeat of the 10x imaging. The stain is a mixture of a blue fluorescent cell-permeable nucleic acid dye and a red fluorescent cell-impermeable nucleic acid dye that is suited for staining dead nuclei. In use, viable cell nuclei will stain blue, and as cell viability decreases, membranes lose integrity and the red dye can then stain the nucleus. Once the cell concentration and incubation times were determined, HCT116 cells were added to the prepared collagen solution. The mixture was then dispensed to the 96 well plate in a volume of 240 μL per well. The cell plate was incubated at 37 °C/5% CO2 for 15 minutes, followed by addition of the absorbers in the RAFT™ plate, and a second 15 minute incubation at 37 °C/5% CO2 during which the RAFT™ process concentrated the collagen density to a physiologically relevant strength. The absorbers were then removed and 100 μL of new medium was then added to the concentrated cell/collagen hydrogel. The plate was incubated at 37 °C/5% CO2 for three days to allow tumoroids to form. Following the three-day incubation, spent medium was removed, and 100 μL of small molecule inhibitor was dispensed back to the plate. The cells and compounds were incubated together for 60 minutes at 37 °C/5% CO2. The aspirate and dispense procedure was repeated to remove each inhibitor concentration and add 75 μL of lysis reagent. This was followed by a 60-minute incubation at room temperature with shaking. Lysate aliquots of 16 μL each were transferred to a separate low volume 384-well plate, then 4 μL of the appropriate HTRF antibody mix for the phosphorylated or total eIF4E assays were then added, and the plate incubated for 4 hours before reading. 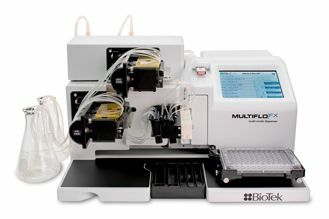 The assay procedure previously described was run with the MultiFlo™ FX using 0 and 100 μM concentrations of cercosporamide as positive and negative controls, respectively in a Z’-factor3 experiment to measure the instrument’s ability to perform accurate and repeatable aspirate and dispense steps. Z’-factor is a measure of assay robustness, and takes into account the difference in signal between positive and negative controls as well as the signal variation amongst replicates. 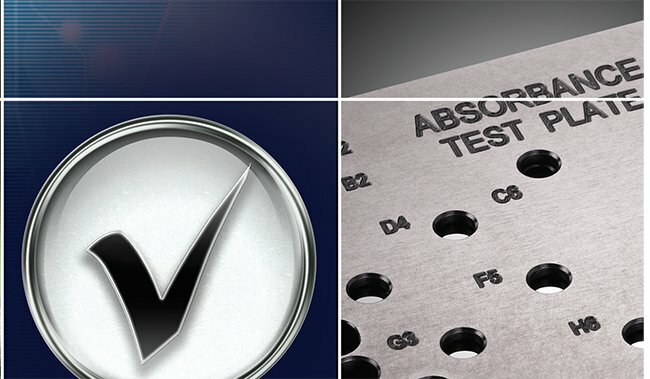 A scale of 0-1 is used, with values greater than or equal to 0.5 indicative of an excellent assay. Forty replicates of each compound concentration were included. After the three day, post-dispense incubation period, cultures were imaged, using Cytation™ 3, to confirm tumoroid formation. Tumoroids were stained with three fluorescent probes: DAPI nuclear strain, Alexa Fluor® 488 phalloidin, and CellMask Orange plasma membrane stain, and manual 20x images were taken at various z-planes. The images were exported from Gen5 Data Analysis Software and imported into CombineZP image stacking freeware. The program serves to create a single “stacked” image with all planes in focus for increased clarity and detail compared to single plane images. The final image was then imported back into Gen5™ Data Analysis Software. This process enables phenotypic image-based analysis of tumoroids formed in the hydrogel. The peIF4E assay was performed using traditional 2D cell culture methods, along with the RAFT™ 3D cell culture system. In 2D, HCT116 cells were dispensed into 96- well clear bottom, TC treated plates and allowed to incubate overnight at 37 oC/5% CO2 prior to performing any experiments. 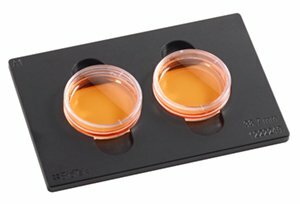 In 3D, cells were dispensed into the 96-well culture plates provided in the RAFT™ kit. Cells were dispensed at a concentration of 25,000 cells/well for both culture conditions. Cercosporamide and PI 103 were again used as the test pathway inhibitors. Serial titrations were created for each compound and added to the cells or tumoroids as previously described. The assay in each cell culture format was repeated twice to ensure repeatability and accuracy of results. IC50 values were then compared to determine if any differences in inhibitor pharmacology could be attributed to the different cell culture methods. The total eIF4E assay was also performed using the same cell culture methods and eIF4E pathway inhibitors. Cytotoxicity measurements were performed in order to ensure that decreases seen in eIF4E phosphorylation were due to inhibitory effects on the signaling pathway and not due to toxicity from the compound concentrations being tested. CellTox Green Express reagent was incorporated due to the fact that it could be added to the medium used for compound dilution. This created an easy and efficient multiplexed assay procedure, did not interfere with the emission spectra of the HTRF detection antibodies, and allowed for the use of the “Hit Picking” capabilities in the Gen5™ software. Following the aforementioned compound incubation period, Cytation™ 3’s filter-based system was used to read the plate. Any wells generating a fluorescent value above a pre-determined threshold, when compared to negative control wells, triggered a “Hit”, and that well was imaged. 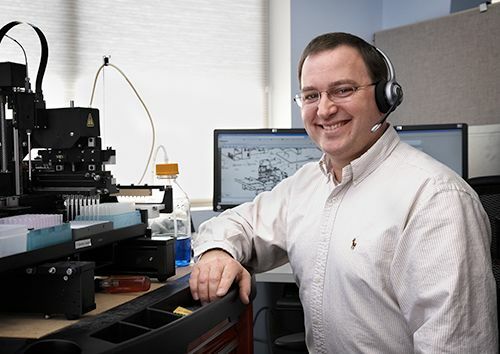 At the completion of the procedure, the remaining portion of the assay process was completed as previously described. Figure 3 confirms that a concentration of 25,000 cells/well delivers a larger assay window, specifically when looking at the PI 103 data. The same can be said for the one hour compound incubation time when using the higher cell concentration. The combination ensures that small phosphorylation level changes can be distinguished in subsequent inhibition studies. The lysis incubation time experiment (Figure 4A) illustrates that extended incubation times do not improve assay results. The efficacy of the lysis reagent, when combined with the cells for one hour, was also confirmed via imaging. Images taken before lysis (Figure 4B) show mostly intact cell membranes, while those captured following the incubation period (Figure 4C) demonstrate loss of membrane integrity in almost all cells imaged. These findings validate the effectiveness of the reagent to lyse cells within one hour, which also serves to create a shorter total time to complete the assay. Figure 3. 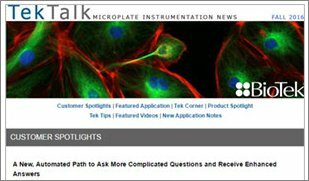 Cell Concentration and Inhibitor Incubation Optimization Data. Dose response curves were generated using A) cercosporamide, and B) PI 103, representing percent of uninhibited basal eIF4E phosphorylation levels. Figure 4. Lysis Reagent Incubation Time Optimization. A) Cercosporamide dose response curves were generated from assays using a 1, 2, or 3 hour incubation time following lysis reagent addition. Cytation™ 3 captured 10x images of tumoroids stained with Nuclear-ID Blue/Red Cell Viability Reagent before B) and after C) 1 hour lysis incubation. Using the average and standard deviation results calculated from the forty replicates tested with each control, the Z’- factor was calculated as 0.73 (Figure 5), which as previously explained, is indicative that the combination of the RAFT™ cell culture system and MultiFlo™ FX provide an excellent, robust assay procedure. Figure 5. Z'-factor results from the automated 3D assay performed with MultiFlo™ FX. Single plane images of the 20x stained tumoroids (Figures 6 A-C) were combined to create a single, focus stacked image (Figure 6D) for enhanced detail and clarity. Additionally, the focus stacked 20x image showing the DAPI-stained channel only (Figure 6E) was used to perform a cell count (Figure 6F). The image shown in Figure 6F demonstrates Gen5’s ability to perform accurate analyses, such as cell counting, on the 3D tumoroids created with the RAFT™ system. Figure 6. 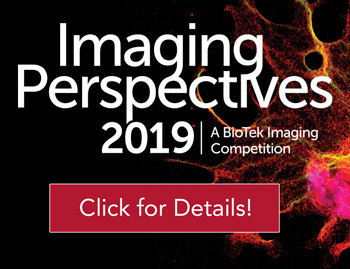 Single plane and focus stacked tumoroid imaging and analysis. (A-C) Single plane 20x tumoroid images. (D) Focus stacked 20x image using CombineZP freeware. (E) Focus stacked 20x image - DAPI channel only. (F) Cell count on DAPI channel focus stacked image. When peIF4E assay data from 2D cell cultures and 3D cell cultures were compared using the upstream eIF4E pathway inhibitor PI 103, no discernible difference was seen. However, when cercosporamide, an inhibitor of direct eIF4E phosphorylation, is compared, a disparity in pharmacology is observed. IC50 values from dose response curves generated using 2D cell culture methods (Figure 7A) were found to be 3-fold lower than values calculated from dose response curves generated with the 3D RAFT™ system (Figure 7B), meaning that compounds appeared to be 3 times more potent in the 2D model. This is most likely due to a metabolic change based on cell:cell or cell:matrix interactions. 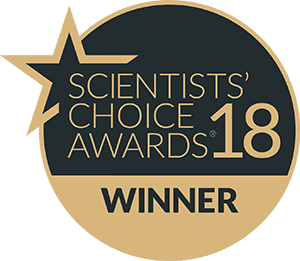 This serves to confirm the validity of the RAFT™ system for use in 3D cell signaling applications. The RAFT™ system’s ability to generate accurate inhibitor pharmacology was further validated by the total eIF4E assay results illustrated in Figure 8. A decrease in endogenous total eIF4E is seen with increasing PI 103 concentrations, which is consistent with previously published data demonstrating that PI 103 inhibits expression of PI3K/Akt/mTOR downstream proteins4. In contrast, cercosporamide, which blocks direct phosphorylation of eIF4E through suppression of Mnk kinase activity5, does not demonstrate a noticeable effect on total eIF4E protein levels. These findings suggest that the PI 103 inhibition seen in Figure 7B is actually driven by a reduction in eIF4E protein expression; while the inhibition seen in Figure 7A is attributable to an inhibition in kinase activity. Figure 7. peIF4E assay inhibitor pharmacology comparison using 2D and 3D cultured cells. Cercosporamide and PI 103 inhibition of basal eIF4E phosphorylation results generated using either A) 2D cell culture methods, or B) 3D RAFT™ cell culture system. Dose response curve and IC50 data from two separate experiments shown on each graph. Figure 8. Comparison of total eIF4E assay results using 2D and 3D cultured cells. PI 103 is seen to inhibit expression of total eIF4E and cercosporamide has no impact in both 2D and 3D cell culture conditions. Equivalent cercosporamide and PI 103 titrations were incorporated as used in Figure 7. Per the cytotoxicity Hit Picking experiment (Figure 9A), no negative effect on cell viability is elicited using a one hour incubation period and the compound concentrations tested. This is confirmed by Figures 9B-E, which were taken from wells containing the highest concentration of cercosporamide or PI 103. The number of cells demonstrating high levels of green fluorescence is low to non-existent. Figure 9. Cytotoxicity assessment results. A) % RFU values, when compared to those generated by negative control wells containing no compound, for all cercosporamide and PI 103 concentrations tested. 4x images also shown for B) 100 μM cercosporamide and D) 10 μM PI 103 using 2D cell culture; and C) 100 μM cercosporamide and E) 10 μM PI 103 using the 3D RAFT™ system. 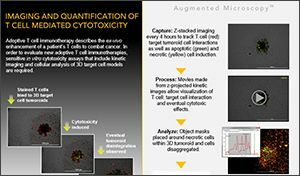 The RAFT Cell Culture System represents a robust and accurate method to generate 3D cell-based assay data. 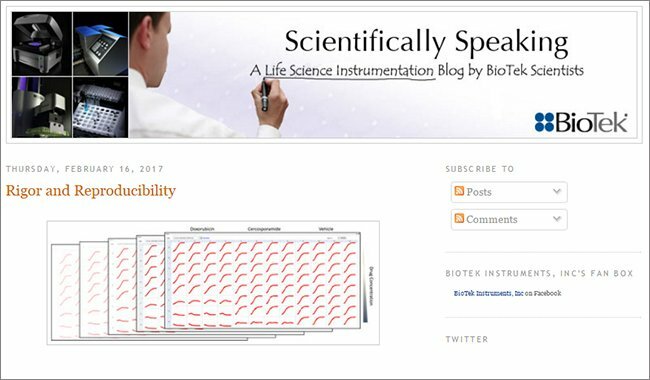 Also, the HTRF phosphorylated and total eIF4E assays provide easy-to-use procedures to measure cell signaling activity, producing reliable results when combined with the RAFT system. MultiFlo™ FX further enhances assay robustness by providing a repeatable, automated procedure. 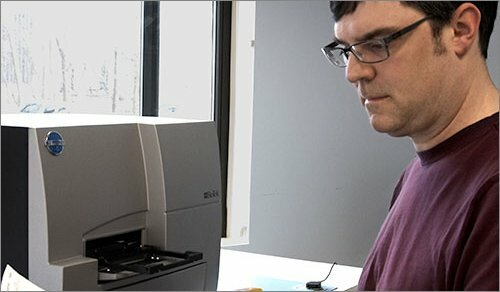 Cytation™ 3’s combination of filterbased detection and fluorescence microscopy present a unique and ideal method to capture the data and images from the multiplexed assay procedure. Finally, the combination of a 3D cell culture method and assay chemistry, along with liquid handling and detection instrumentation, are an ideal solution to generate appropriate pharmacology and phenotypic results from test compounds. Pampaloni, F.; Reynaud, E.G. ; Stelzer, E.H.K. The third dimension bridges the gap between cell culture and live tissue. Nat Rev Mol Cell Biol. 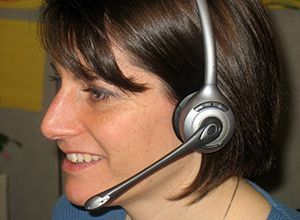 2007, 8, 839-845. Bissel, M.J.; Radisky, D.C.; Rizki, A.; Weaver, V.M. ; Petersen, O.W. The organizing principle: microenvironment influences in the normal and malignant breast. Differentiation. 2002, 70, 537–546. Zhang, J.; Chung, T.; Oldenburg, K. A Simple Statistical Parameter for Use in Evaluation and Validation of High Throughput Screening Assays. 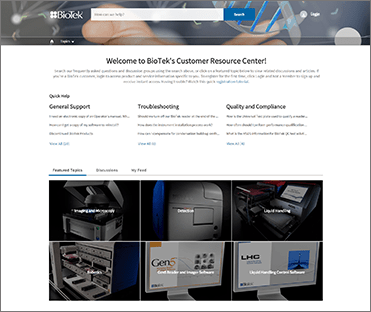 J Biomol Screen. 1999, 4, 67-73. Mazzoletti, M.; Bortolin, F.; Brunelli, L.; Pastorelli, R.; Di Giandomenico, S.; Erba, E.; Ubezio, P.; Broggini, M. Combination of PI3K/mTOR Inhibitors: Antitumor activity and molecular correlates. Cancer Res. 2011, 71, 4573-4584. Altman, J.K.; Szilard, A.; Konicek, B.W. ; Iversen, P.W. ; Kroczynska, B.; Glaser, H.; Sassano, A.; Vakana, E.; Graff, J.R.; Platanias, L.C. Inhibition of Mnk kinase activity by cercosporamide and suppressive effects on acute myeloid leukemia precursors. Blood. 2013, 121, 3675- 3681.